The contribution rules have been updated, including changes for 3.9.0. Additionally, contribution is now enabled from version 3.9.0. Version 3.9.0 is available in the beta downloads section. It will exit beta within the next few days. It would be great if the rules about alternate versions could be more specific, especially the phrase "largely different cover images" needs explanation. 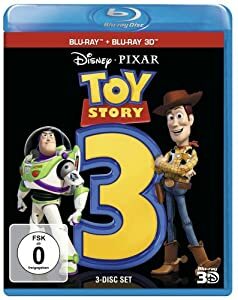 Does it mean that the whole artwork of the cover has to be new or does it suffice if there are other notable changes to the cover like the "Special Collection" branding on re-releases of German Disney DVDs? Is this largely different? Or how about slip covers? If a Blu-Ray-Disk is re-released without its initial slip cover then the artwork may stay the same except for maybe just a border. Is this largely different? In my opinion such alternative versions should be allowed because in the first case it is not only a change to the cover but also to the edition and in the second case not only the cover but also the case type is different. But my opinon doesn't really matter, the important question is: what kind of contributions will be accepted and which will be dismissed? In the end it will be somewhat subjective. If you find yourself saying "my cover looks nothing like the existing one," then it's a candidate for an alternate version id. These two examples are not. "Largely different" should be read as "pretty much entirely different". another question regarding alternate version. Would/could these be used when the same Disc ID (or in reality the same disc) is used with different packages of a title? 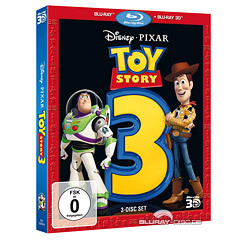 For example, a Blu-ray/DVD combo is released with both a regular case and a steelbook. While the main disc's have different UPCs, the DVD is the same disc and thus have the same ID. Could you use alternate version there to create an alternate version so you could use different cover images, release dates, etc. Or am I misunderstanding how alternate versions are used? That seems to be covered under the first part of the updated releases using the same upc/ean/disc id. The new scans update is nice and a great fix, but ugh, new rule for child profiles on single disc multi-film releases is just another pain in the bumhole for those of us who don't do child profiles. Ah well, I guess I'll just continue to submit the bare minimum I have to for releases I have not in the database then. Do you not use children for normal boxsets? Concerning the new rules for Alternate version, I've got a question too. On disc 1, there are 2 movies (El Mariachi + Desperado). On disc 2, only one movie (Once upon a time in Mexico). - is it the correct way? - what does the profile "UPC Entry: (Movie 1/Movie 2) data" should contain? All information from movie 1 & 2? Or does it follow the box sets content rules? I don't either although the level of information that can be profiled with the alternate profiles for multiple films is appealing. My original argument to allow for both was that not everyone profiles the same way (i.e. don't clear out the main profile according to box set rules). However, some wouldn't have that because it wasn't how THEY wanted to profile THEIR database. Disc level profiles have always been optional in the past. The response was simple, "that's not how I want it" and "YOU can edit your own local database how YOU want it" but "WE don't want that to be in the database because that's not how I profile it". See the problem here, no wonder why members have stopped contributing and have given up on DVD Profiler. To be honest, when I first heard about it I kind of assumed that it would be in both. I keep mine bare.... I remove prettty much everything, besides the title, release date, srp, overview & Media company. I like everything else to be on the child level, but that is just me. I would have no issue with keeping all the data in the parent, it's easy enough for us that don't want it to delete it and lock it. Much easier than having to replicate it in the Parent all over again. What about child IDs that exist in other boxsets? For example I went to contribute a 3 movie blu-ray (on one disc) and found those Disc IDs were already submitted. But after they were approved and I downloaded them they were for a different set all together. Is it allowed to create new variants for my specific boxset? I see nothing in the new rules that would prohibit them... but wanted to make sure before I started adding them online. Use for: Two or more releases of the same title with largely different cover images (e.g. Disc ID profiles shared among different box sets). Yes, no problem adding them. Just be aware that this type of contribution will, for now, go to "second-level review" first, so they may take a while to get approved. Agree. I use child profiles, but for two movies on the same disc. It's gone from DVDProfiler to MovieProfiler, and the way I see it, it's just messy to divide one disc into two profiles. I will not download updates for while. At least until I''ve locked all my single discs which contains two (or more) movies, so I won't lose all the information. It wouldn't be too bad if we could at least copy and paste crew from multiple films into a single profile, but AFAIK you can't.